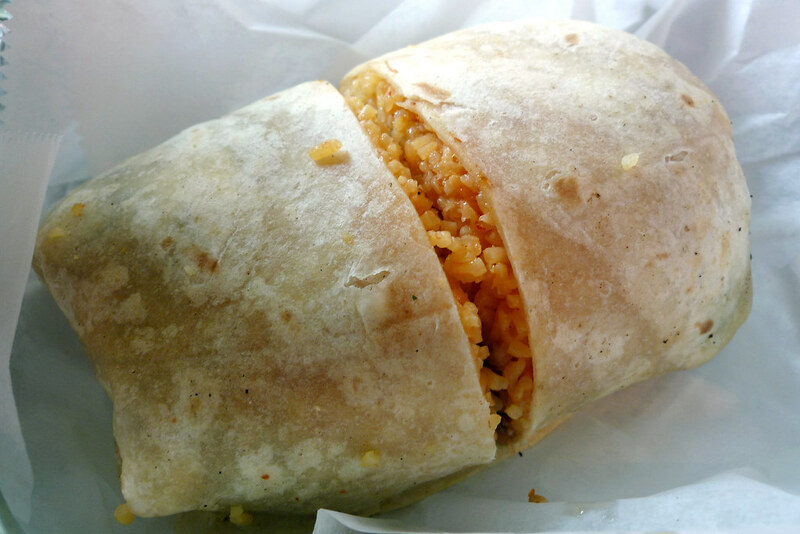 In this solo dining adventure, Gary checks out bánh mì impresario Michael Bao Huynh’s Asian burrito joint, the aptly named Baorrito. 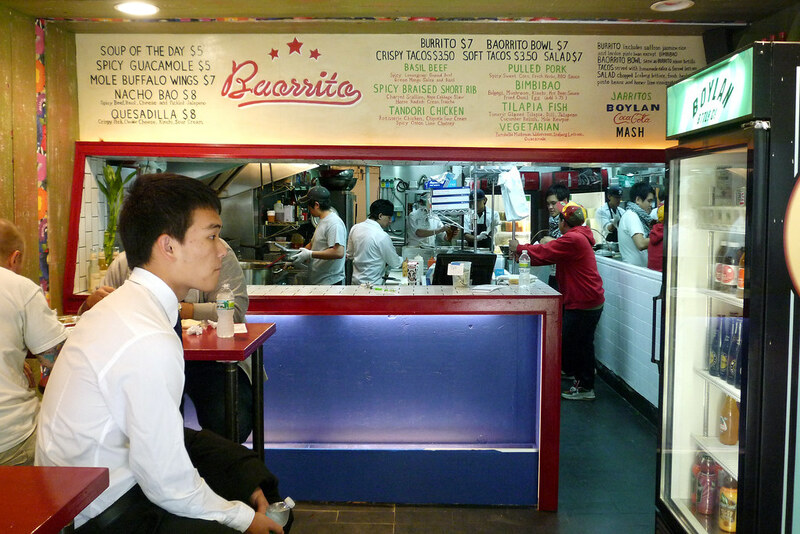 Baorrito is the second Bao concept to open up in this space. Formerly a Baoguette that only opened earlier that year but would only stay open as such for half a year, prolific owner Michael Bao Huynh turned the place from a noodle and sandwich shop to an amalgam of Asian and Mexican cuisine. This was a little bit before Korilla, a Korean taco and burrito truck, arrived on the scene so the market hadn’t yet become saturated. I’m not sure the idea can really be overdone – after all, we’re talking about burritos made with Asian ingredients. It’s a simple idea that, if executed properly, will always be a good thing. Unfortunately, I didn’t find that to be the case during my visit. I mean, the burrito certainly looked nice as you can see from the photos above and below. They make them humongous here, filling them until they’re just about to burst, which is a good thing considering what they cost. Beyond the appearance, though, is where it goes downhill. I ordered the Chili Basel Beef burrito. 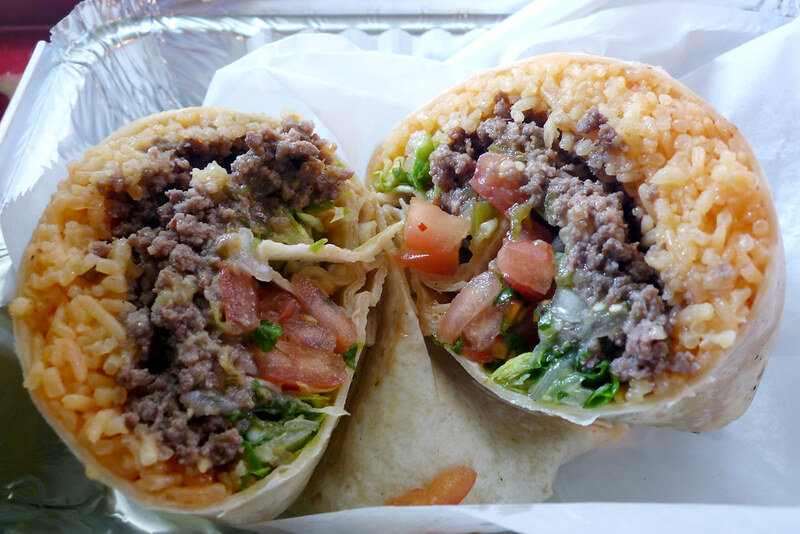 Wrapped inside a flour tortilla was spicy lemongrass ground beef, green mango salsa, and basil. And, of course, rice. The lemongrass flavor was unmistakable or, more aptly put, overwhelming. Maybe if it were a flank or skirt steak that had been seasoned with lemongrass on the surface before being grilled and sliced, the flavor would have been lovely but the ground beef’s surface area allowed the lemongrass to completely overpower it. It rendered everything else to bit player status in the burrito. Which is a shame because I rather liked the cooling salsa and the rice. Normally I’d make a good faith attempt to visit a place after an underwhelming first visit if the menu is varied enough that perhaps selecting another option would change my opinion. Regrettably, I didn’t find the time to give Baorrito a second try or, rather, I kept putting it off, which is probably a good enough reason for me not to have made the second visit. Will I ever try this place again? Doubtful. But even if I did decide to, it’s all too possible that the concept at this location will have changed again – in all honesty, that might not be a bad idea. Baorrito. 241 Third Avenue, New York, NY 10003. [Show/Hide Map] (212) 228-5500.